The early 1800s were difficult for the townsfolk of Dijon, France. They’d made several attempts to supply the region with clean water by drilling wells, but the wells were too few, too dirty, and too dry. Fortunately, Henry Darcy, an engineer and Dijon native dedicated to public service, found a solution. His study of fluid dynamics for the project led to the formulation of the equation now known as Darcy’s law, as well as other contributions to hydraulics. 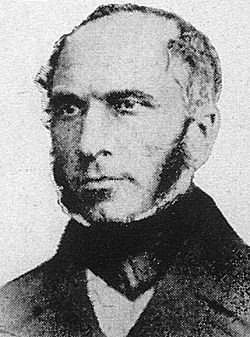 Henry Darcy was born on June 10, 1803, in Dijon, France. His father was a tax administrator who passed away when Henry was 14, leaving young Henry’s mother to raise him and come up with the funds to send him to school. In 1823, Darcy enrolled at the L’École Polytechnique in Paris. From there, he entered the School of Bridges and Roads. Henry Darcy. Image in the public domain in the United States, via Wikimedia Commons. Many engineers before Henry Darcy had tried to design a water supply system for the city of Dijon, but the design plans always had significant flaws. Darcy was assigned to work on a well drilling project in 1828 that led to only a modicum of success. Water was found, but there wasn’t enough to go around for Dijon’s entire population. Instead of feeling defeated, Darcy took it upon himself to find a way to supply the city with water from a clean, reliable source. After researching and learning from previous design plans that had failed, Darcy plunged into studies of fluid flow. He experimented with different material for pipes, analyzed water flow across the landscape, and ran filtration tests and field experiments in open channels. In this way, he gained a better understanding of velocity, slope, and cross-sectional area and how they are related. Later, he would develop these findings into the Darcy-Weisbach equation, which addresses pressure and head loss in pipe flow. 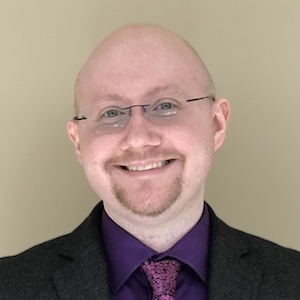 He was also able to provide theories that explained why a well’s water production changes seasonally, and how water pressure causes artesian wells to occur. 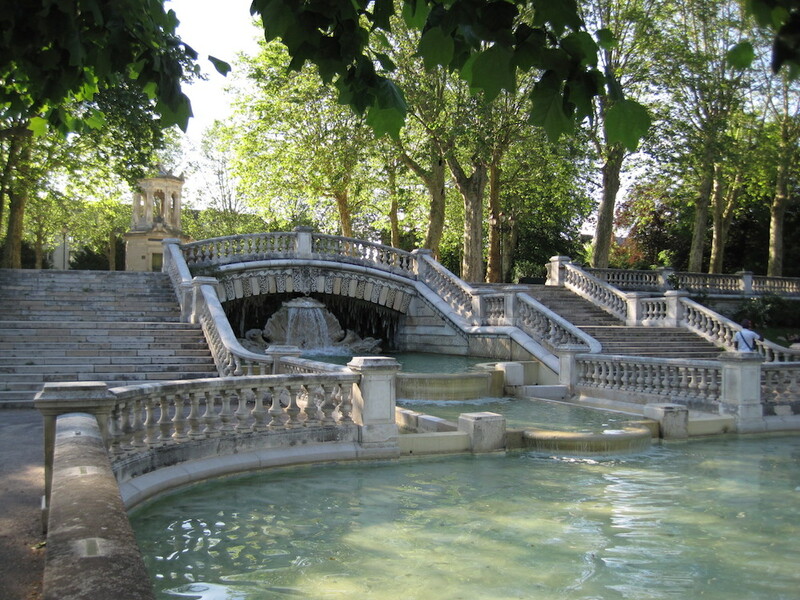 A water fountain in the Jardin Darcy in Dijon, France. The garden is built on a reservoir. Image by Arnaud 25 — Own work. Licensed under CC BY-SA 3.0, via Wikimedia Commons. In 1834, Darcy revealed his plans for the public water supply, which consisted of a 13-km aqueduct running under the city that could transport water from the Rosoir Spring to enclosed reservoirs in Dijon. With a series of distribution lines, water could be provided to buildings, hydrants, and fountains. The system relied on gravity, which meant water pumps weren’t needed. As a means of purifying the supply, Darcy used mostly sand as a filter. Sure enough, the experiments paid off and the water supply designs were successful. The project was completed 10 years later, 20 years before Paris installed a similar service. Darcy’s system supplied water to hospitals and municipal buildings all over Dijon. He also designed a series of fountains (142 fountains spaced 100 meters apart) that varied in shape and height while running, which was quite a feat for the time period. Due to the resounding success of Henry Darcy’s water system and other urban renewal efforts, he became the chief engineer for the department of Côte-d’Or and was appointed to an even higher position in Paris as the chief director for water and pavements. In these roles, he devoted much of his time to further hydraulics research. One of the results of this research is Darcy’s law. Because Darcy had performed so many experiments with groundwater movement, he started thinking about the way fluid flows through sand and soil. He discovered that the fluid flow rate in a porous medium is proportional to the hydraulic force applied to it. This principle is now known as Darcy’s law. Also related to Darcy’s study of porous materials is a surface’s permeability, or the measure of a porous medium’s ability for fluids to pass through it. The unit of measurement for fluid permeability is called the darcy. Besides the water system, Henry Darcy devoted his engineering skills to other public service projects. One of his major accomplishments was putting Dijon on the map as a destination by constructing a railway line from Paris to Lyon. In the past, Dijon had been bypassed because mountains and other geographical obstacles proved too difficult to travel through. Darcy was not discouraged: After consulting with a geologist, he showed his engineering prowess by digging a 4-kilometer tunnel through the mountains. Darcy’s mission to improve quality of life had a ripple effect. By introducing the new water system, he made Dijon a pioneer in technology that led other cities to follow its example. Today, the groundwork he provided contributes to continuing improvements in water resource management. As a civil servant, Darcy thought more about the people who could benefit from his work rather than his own personal gain: Upon completing the Dijon water system, he was offered a payment of 55,000 francs, which would be worth over $1 million today. He wouldn’t take a franc of it and, at the public’s insistence, accepted a medal instead. 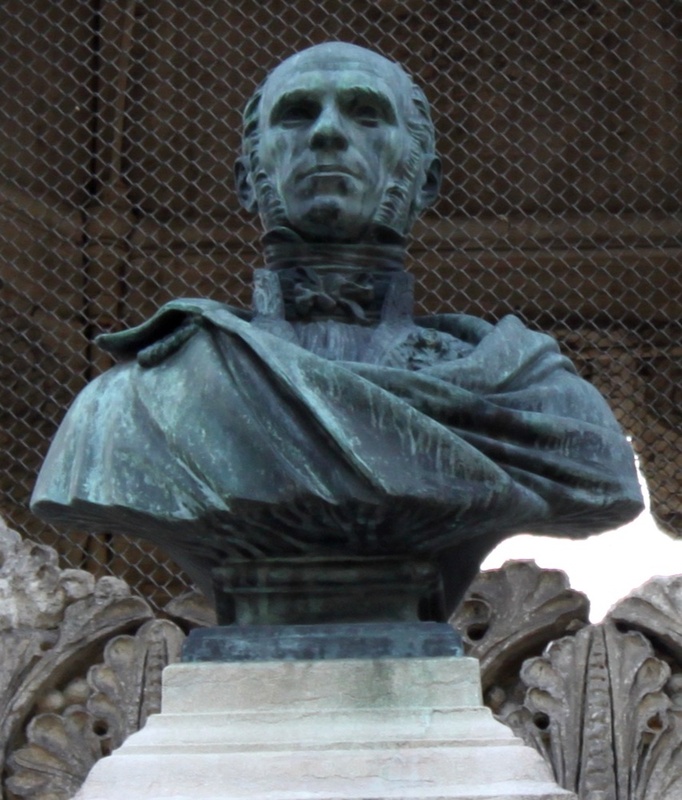 A bust of Henry Darcy, located in the Jardin Darcy in Dijon, France. Image by Christophe.Finot — Own work. Licensed under CC BY-SA 3.0, via Wikimedia Commons. For these reasons and more, Darcy is widely celebrated. The first public garden in Dijon, built on top of a reservoir, is named after him. If you’re ever in Dijon, stop by the Jardin Darcy and admire the monument built in his honor. Until then, join us in wishing Henry Darcy a happy birthday!